A LIFETIME POWERTRAIN WARRANTY AT NO COST TO YOU! 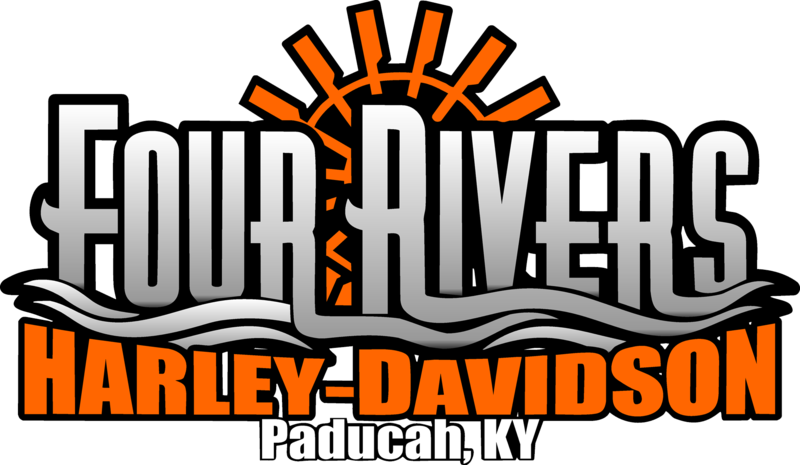 THIS PROGRAM IS EXCLUSIVE TO FOUR RIVERS HARLEY-DAVIDSON®! A real powertrain warranty that covers a motorcycle's engine, transmission and drive assemblies, for life That's right, unlimited time, unlimited miles. No cost, No deductibles. NO HOOKS, NO CATCHES, AND NO GIMMICKS. Let trained technicians handle it. TRAINED TECHNICIANS WHO ARE EXPERTS AT WORKING ON YOUR MOTORCYCLE. Servicing with the selling dealer does not require you to get prior authorization. Your selling dealer will help retain your maintenance records for you, making it convenient at the time of a claim. The selling dealer is always available to take your calls and answer any questions you have about Warranty Forever®. If you ever have a powertrain failure that exceeds your motorcycle's value, the Warranty Forever® program will pay you full nada retail value of your motorcycle at the time of failure – and you keep your motorcycle! Many customers wonder about the type of components covered under the Motorcycle Warranty Forever® program. For complete details on the components covered, check out the details below! Engine block and/or replaceable cylinder sleeves, cylinder heads and valve covers (if damaged by an internally-lubricated part), all internally-lubricated parts contained within the engine, including, without limitation, valves, valve springs, valve guides, intake manifolds, pistons, connecting rods, wrist pins, main bearings, rod bearings, crankshaft, cam shaft, lifters, cam bearings, oil pump, rocker arms, push rods, timing chain, timing gears, timing cover, flywheel, flywheel ring gear, engine mounts, and all internally-lubricated parts of the turbo charger/supercharger, including, without limitation, vans, shafts, bearings, bushings, waste gate, and housing (if damaged by an internally-lubricated part). Transmission case (if damaged by an internally-lubricated part) and all internally-lubricated parts within the transmission case, including, without limitation, gears, bearings, intermediate gears, internal shift mechanism, transmission mounts, and internal drive chains. Primary drive case (if damaged by an internally-lubricated part) and all internally-lubricated parts (except clutch and hub assemblies) contained within the primary drive case, including, without limitation, all gears, bearings, internal drive gears, internal drive chains, and internal selector mechanism. (Shaft driven only) transaxle housing and final drive housing (if damaged by an internally-lubricated part) and all internally-lubricated parts of the differential housing, including, without limitation, axle shafts, constant velocity joints, universal joints, drive shafts, supports, retainers, bearings, locking hubs, hub bearings, and locking rings. We highly recommend that you return to your selling dealer for all of your motorcycle's maintenance. However, in the event that you choose to go outside of your selling dealer, below is the step-by-step process to ensure that you don't void your Warranty Forever® program. Choose a licensed repair facility to perform your maintenance. We do not provide a list of authorized dealers, so the choice is yours. You are required to call in each time, prior to having the maintenance completed when not using your dealer’s service facility. Date of your scheduled maintenance appointment. The name of the licensed repair facility that you are planning to use to have your services performed. The maintenance you are going to have performed. The current mileage on your motorcycle. Remember, you must maintain your motorcycle according to the maintenance schedule outlined in your Warranty Forever® agreement. If you do not have access to your agreement, you can call your selling dealer or the Warranty Forever® toll free number 1-800-810-8458 with questions or for additional guidance at any time.